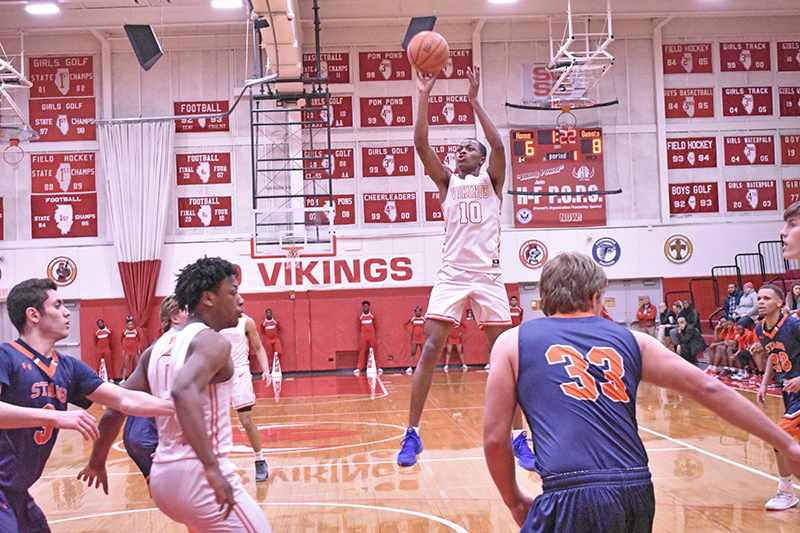 Homewood-Flossmoor’s Vikings overpowered Stagg 60-37 to win the 10th out of their past 11 games. H-F faced a couple of hard fouls by Stagg, but H-F led the Chargers 27-19 after a chippy first half. Stagg, which ran a smaller lineup, had no chance compared to the height of the Vikings. 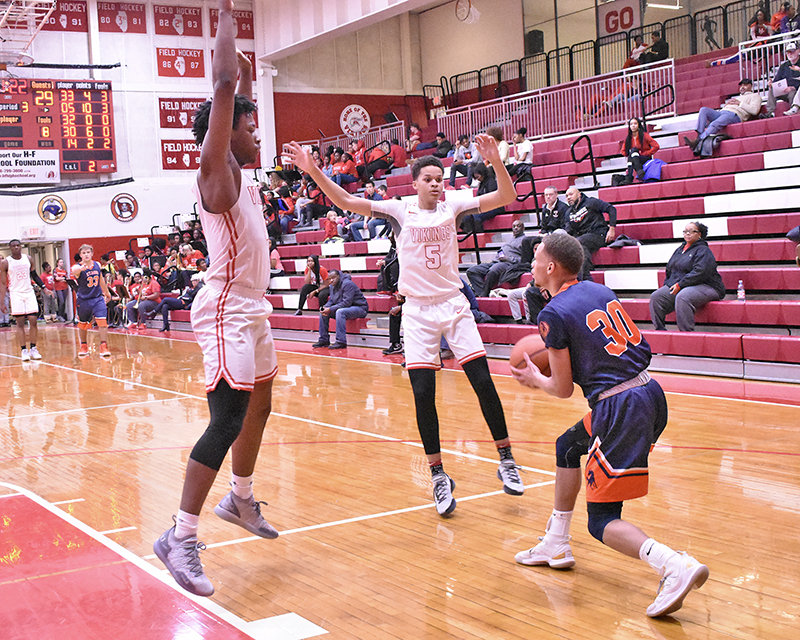 H-F broke away in the third quarter outscoring Stagg 25-10 after the first half. The Vikings used full-court press for nearly the whole game to cause turnovers and turn that into fastbreak points. “That’s the type of team we are. We look to press and score baskets off transitions and steals. We really look to run up and down the court,” senior guard Oscar Parrish III said. H-F will get a chance for redemption when they visit Bolingbrook this Friday at 7 p.m. as they compete for the SWSC title. The Raiders beat the Vikings 68-52 the last time they faced off on Jan. 18. “They don’t need any motivation for this one. I think they’ll be ready to play this time around. We just got to put ourselves in the position to win the game in the last two minutes and try to execute from there,” head coach Marc Condotti said.